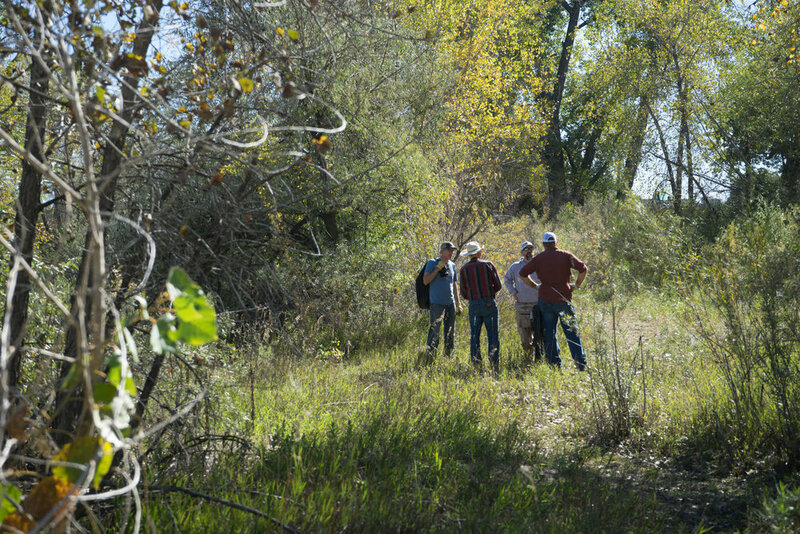 The Big Thompson River flood of 2013 was an epic disaster. The flood waters reached historic conditions, hundreds of homes were destroyed and lives were lost. Unfortunately, this isn't the first time a flood has occurred in this waterway and probably will not be the last. The “Big T” is a unique river system, beginning high in the Colorado mountains and flowing as far east as Kansas, its use and purpose is diverse. The river supplies drinking water for hundreds of thousands and quenches thousands of acres of agricultural lands. Domesticated livestock and wildlife like elk and bear drink from its sparkling crystal clear water. The recreational uses are many, whitewater rafting, canoeing, waterfowl hunting and of course my favorite fly fishing. 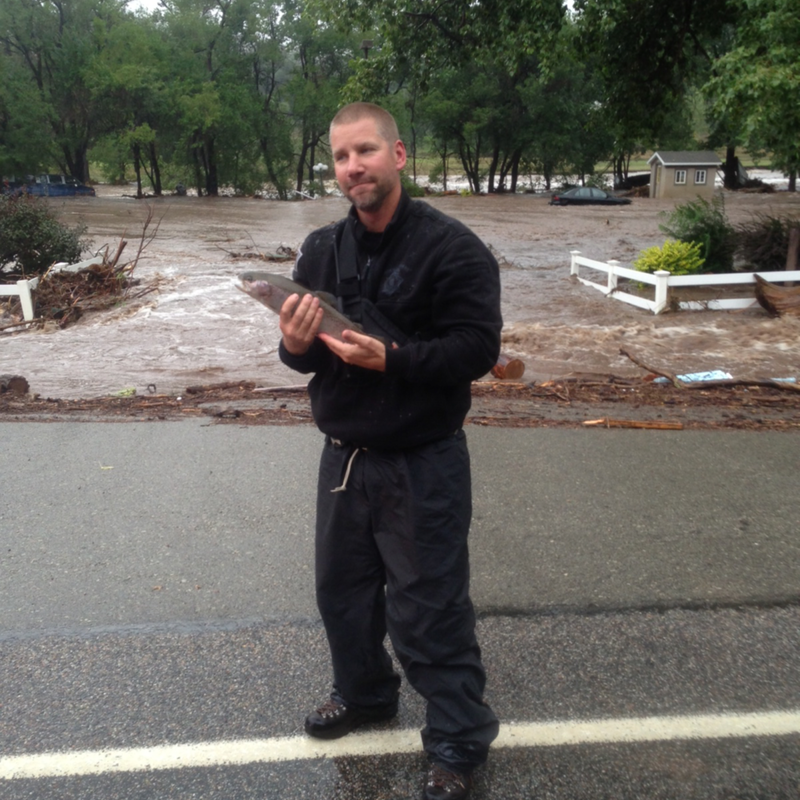 2013, Big Thompson River flood - North Saint Vrain River corridor flooded, 36 hours after rains began. Rainbow trout found alive in middle of Highway 36, North Saint Vrain. The flood destroyed the entire Big Thompson Canyon and as a major artery to Rocky Mountain National Park, a significant road repair and rerouting project is underway. This would require that the canyon be closed to most all public access, consequently most fishermen were forced high into the mountains or left to travel elsewhere to fish. Like the flooding river, I chose a new route. During the years long closure, I began to explore the urban fishing corridor. I have fished almost every square inch of this river from the far off eastern plains to the high mountain headwaters. Interestingly, some of the most unique areas of the river are found close by. The “urban” sections meander between pavement and buildings, near schools and railroad tracks and in and out of numerous aqueducts, diversion structures and other manmade control efforts. Thousands live, work, drive and walk past this part of the river everyday and don't think twice. It's in these forgotten waters that the true essence of mother natures beauty reigns. With my new compact WETFLY Tenkara rod in hand and sling pack on my shoulder, I began making “micro-trips” along the urban rivers path. The first time I scrambled over the broken concrete, glass bottles and under the graffiti laden highway underpasses I questioned if all this effort was worth it. But as I approached the clean water’s edge it was like a magical transformation in time and space had occurred. All of sudden the traffic and industrial noise was drowned out by the birds, bugs and rushing water. There were fish rising slowly slurping the surface nymphs and deep pools and runs just waiting for a soft Tenkara casted fly. This was paradise ten minutes from Starbucks. 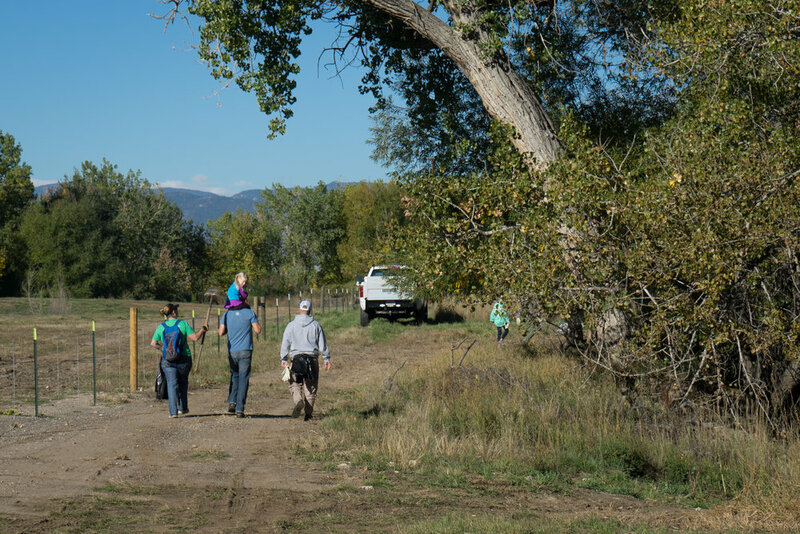 When Warriors on the River was looking for a fundraising event it was not difficult to see our best efforts to give back to the community and environment was right out our backdoor. 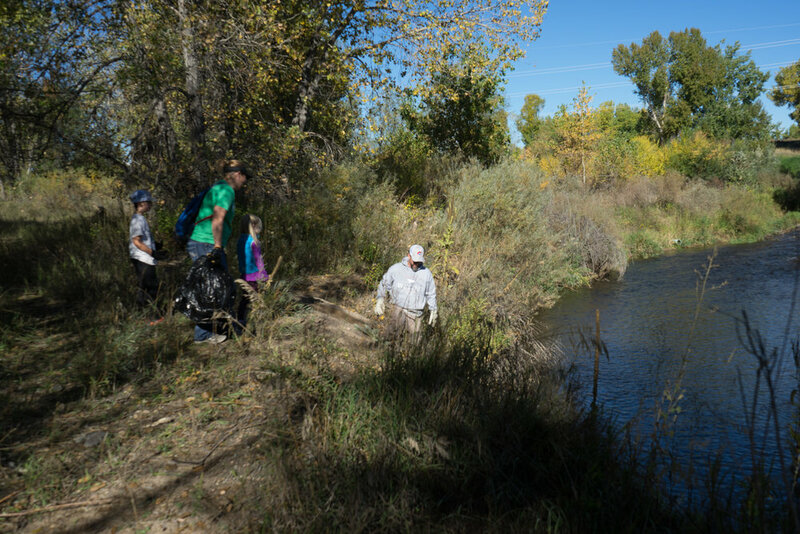 On October 7th 2017 WOR partnered with WETFLY, local government, businesses and the community to clean about ¼ mile of the Big Thompson River in the urban corridor. 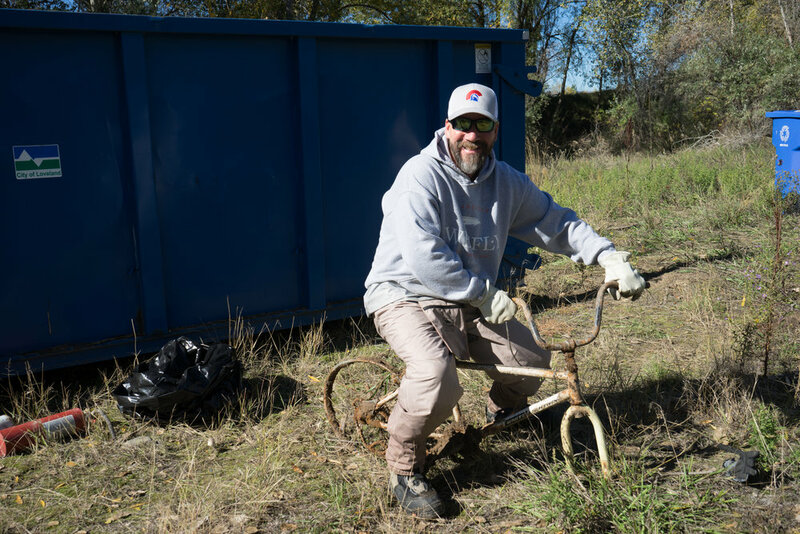 Over 30 volunteers removed 2 tons of trash. 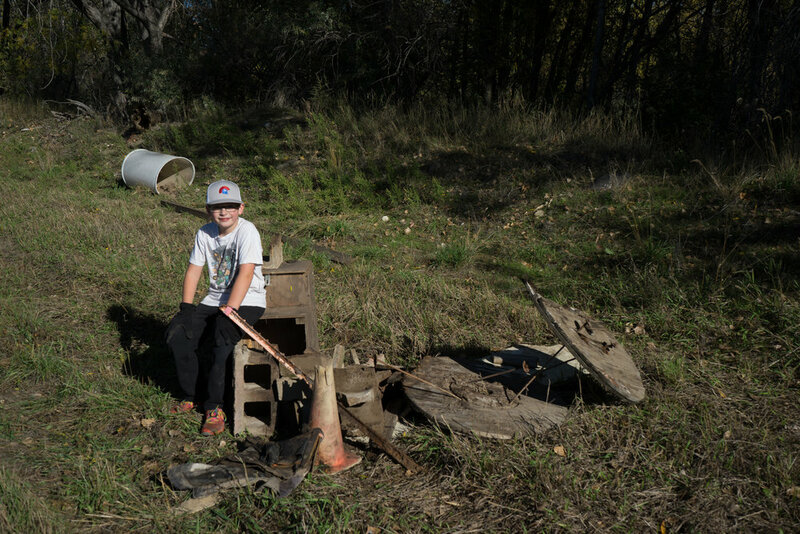 The area cleaned was purchased by the local city to develop into a public recreation site, with a focus on fishing but has remained closed. Our effort was the first since the flood and has now encouraged the town to move forward getting the property opened for public access. After our clean up WOR held a open class fishing tournament and numerous rainbows and Browns were pulled and gently released back into the water. 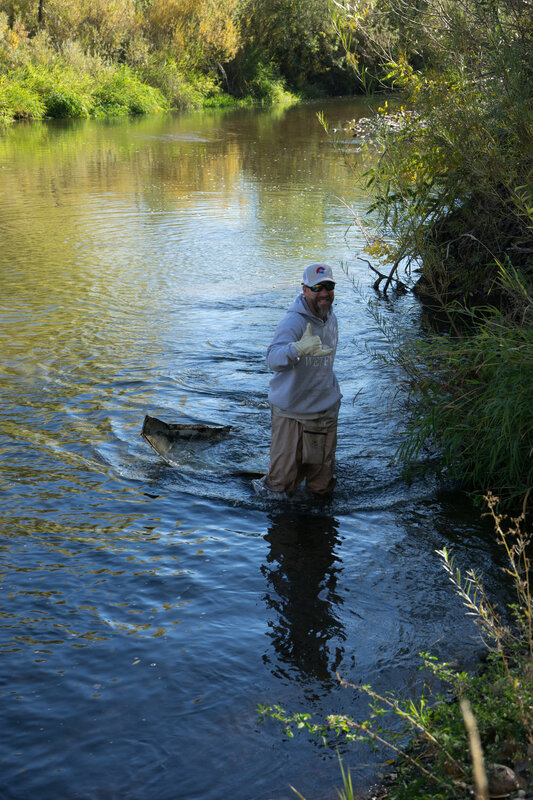 The day was a great success as we cleaned our local river and raised $1500.00 for the non-profit. WOR has now applied to “adopt” this section of river to ensure the water stays clear, the fish stay healthy and our community has a place to escape. This is no longer forgotten water, it's now healing water.